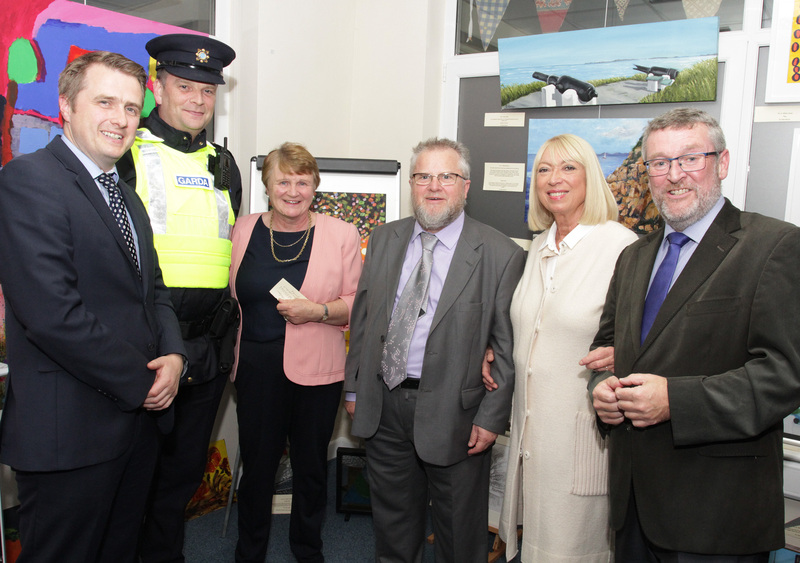 The launch of the Wexford MHA annual Art Exhibition was held in Henrietta St. on Friday, 19 October, just before the Wexford Opera Festival fireworks display. The launch was performed by Anne Doyle, former newscaster and current Ambassador for Wexford. 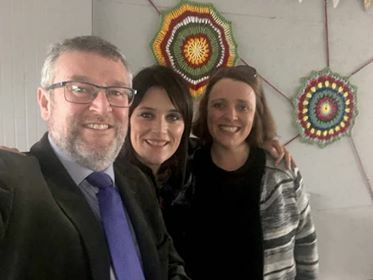 Ms Doyle spoke of the wonderful work being undertaken by Wexford MHA and particularly how the Association focuses on promoting positive mental health and how they engage with young people, in art, music and sport. She believes that it is necessary to reach out to people when they are experiencing turbulence in their lives and to accept others reaching out to them in their dark times too. She was so impressed at the standard of artwork that she left the exhibition having purchased 2 works of art on display! Guest speaker, Deputy James Browne, FF spokesman on Health, complimented the artists for their work and commended WMHA for providing the opportunity for local artists to display their work in such a pleasant setting. He also pledged his support to the people of Wexford and promised that he is always willing to ensure that mental health services are supported in Wexford. He called for more focus by the HSE and other Departments in government, such as Culture and Environment to focus on giving real emphasis to Art, not just about helping people to recover, but to place a greater importance on the prevention of mental illness. Fr. 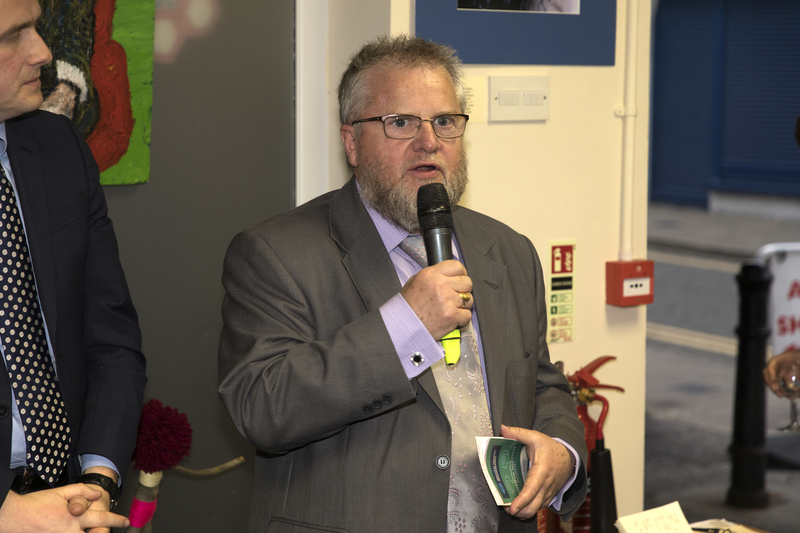 Colm Murphy P.P., Chairman of Wexford Mental Health Association, congratulated the committee who organised the event and commended the artists on their work. He spoke of how Wexford MHA has, since its beginnings 40 years ago, been a leader in the promotion of mental health and has actively cared for those who suffer from mental illness. Many of the initiatives begun by Wexford MHA have been adopted by the HSE and are now standard procedures within the HSE. He reminded the audience that Wexford MHA is run by volunteers and urged those present to consider volunteering themselves to carry on the very worthwhile work of the association. 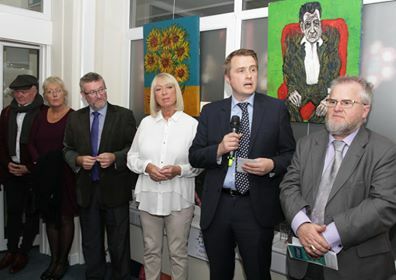 CEO of Mental Health Ireland, Martin Rogan said that he was delighted to be invited to such a positive and worthwhile event, also commending the creativity of the artists on display. He also advised members of the public to come visit the exhibition at a quiet time, so that they can reflect on and really drink in the work, the thoughts and emotions that are invested in the artworks. The MC for the night, Ms Alice Doyle, a member of the Board of directors of Wexford MHA thanked all the speakers for their contributions and reminded the audience that Wexford MHA has always been at the forefront of innovations and were, indeed, launching the Opera Festival as the first event to be opened for the Opera season in the town. The Art exhibition features the work of amateur artists and art works on display were for sale. 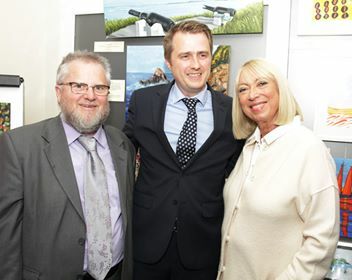 The Exhibition was open for each of the three weekends of the Wexford Opera Festival and was a huge success.